Jeff Rapsis / Silent Film Music: Time for another time change: Tomorrow's screening of 'Barbed Wire' starts at 5:30 p.m.
Time for another time change: Tomorrow's screening of 'Barbed Wire' starts at 5:30 p.m.
And you thought you were finished when you set your clocks back one hour earlier this month! Well, if you're planning to attend a screening of 'Barbed Wire,' time for another adjustment. The screening is Wednesday, Nov. 28 at the Millyard Museum in Manchester, N.H. But the starting time is 5:30 p.m., not 7 p.m., which is the time that I inadvertently had in an e-mail I sent out to my mailing list about a month ago. I'm sending out a follow-up today to make sure people know the correct starting time. In the meantime, I hope you'll take time to come see this little-known Pola Negri film, which turns out to be a powerful World War I drama with a lot to say to us today, more than a century since the Armistice. I first saw it a few years ago at the Kansas Silent Film Festival, and was struck by the intense emotion of the story. And I was also thrilled to see it had a genuinely moving Christmas scene! There's no silent film equivalent of 'It's a Wonderful Life,' but 'Barbed Wire' turns out to be very much a film to remind us of the true meaning of the holiday season. All that will come together, I hope, at the Millyard Museum. I want to thank my friends at the Manchester Historical Association for including silent film with live music as part of their programming! And see you there...at 5:30 p.m.! More info about the film and the screening is in the press release below. 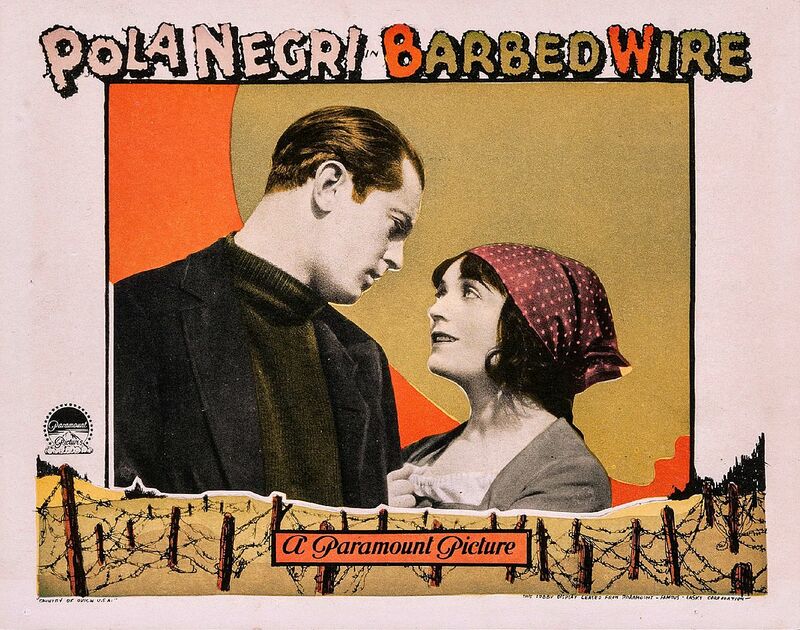 MANCHESTER, N.H. — A rarely shown World War I prison camp drama with an unusual Christmas sequence will once again fill the big screen when 'Barbed Wire' (1927) is revived on Wednesday, Nov. 28 at 5:30 p.m. at the Manchester Historic Association's Millyard Museum, 200 Bedford St., Manchester, N.H.
'Barbed Wire,' a silent drama starring Pola Negri and Clive Brook, will be screened with live music by Jeff Rapsis, a New Hampshire-based silent film accompanist. Admission is $5 for members; $7 for non-members. Attendees are asked to call the Millyard Museum at (603) 622-7531 to reserve a seat or visit www.manchesterhistoric.org to buy tickets online. In a small village, Mona Moreau (Pola Negri) and her aging father work their farm to feed the brave young men fighting for France. But when their farm is commandeered to build a camp for German POWs, they must feed the prisoners as well. In the beginning, Mona resents the German prisoners she is forced to feed, but soon she begins to empathize with them. Mona's sympathies begin to raise the suspicion of her neighbors and worst of all, she fears she may be falling in love with handsome prisoner Oskar Muller (Clive Brook). The relationship is opposed by the townspeople, who ostracize the girl's family, setting in motion dramatic events shaped by war, prejudice, forbidden love, and shared humanity. "The ending of 'Barbed Wire' astounds viewers today because of the bitter lessons it tries to extract from the wartime experience, and how applicable they are to our world right now, so many years later," Rapsis said. "At the time, society had just been through a global conflict fueled by hatred, bigotry, and intolerance, and people knew what that led to. They knew. And we can learn from them still," Rapsis said. Directed by Rowland V. Lee for Paramount Pictures, a highlight of 'Barbed Wire' is a sequence in which the German prisoners celebrate a traditional Teutonic Christmas, by turns solemn and rowdy, despite being incarcerated. The film is being screened in conjunction with the Millyard Museum exhibit "Manchester and the Great War," currently on display now through Dec. 31, 2018. "It's kind of a high wire act, but it helps create an emotional energy that's part of the silent film experience," Rapsis said. "It's easier to support the emotional line of the movie and the audience's reaction when I'm able to follow what's on screen, rather than be buried in sheet music," he said. 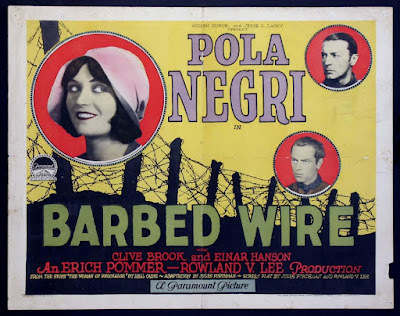 "Films such as 'Barbed Wire' were created to be shown on the big screen to large audiences as a communal experience," Rapsis said. 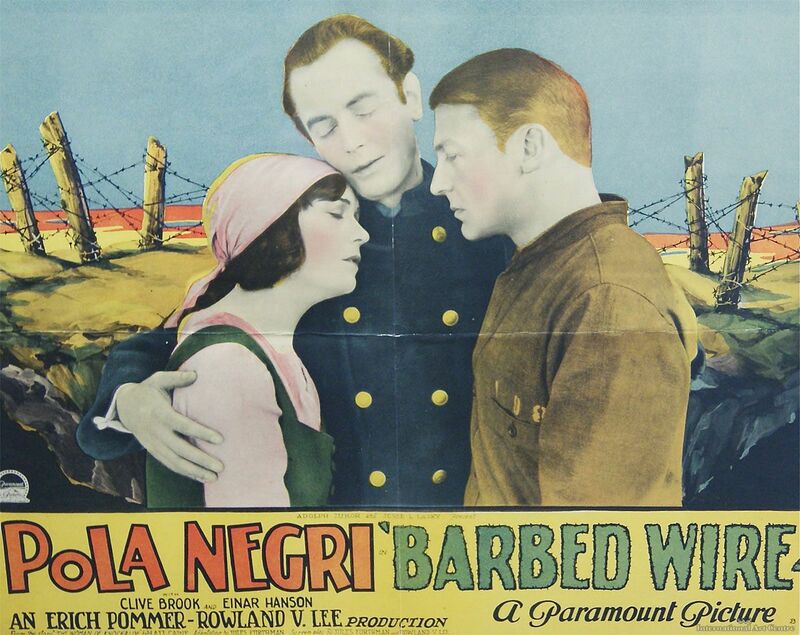 "With an audience and live music, silent films come to life in the way their makers intended. Not only are they entertaining, but they give today's audiences a chance to understand what caused people to first fall in love with the movies." 'Barbed Wire' will be shown with live music on Wednesday, Nov. 28 at 5:30 p.m. at the Manchester Historic Association's Millyard Museum, 200 Bedford St., Manchester, N.H. Admission is $5 for members; $7 for non-members. Attendees are asked to call the Millyard Museum at (603) 622-7531 to reserve a seat or visit www.manchesterhistoric.org to buy tickets online.